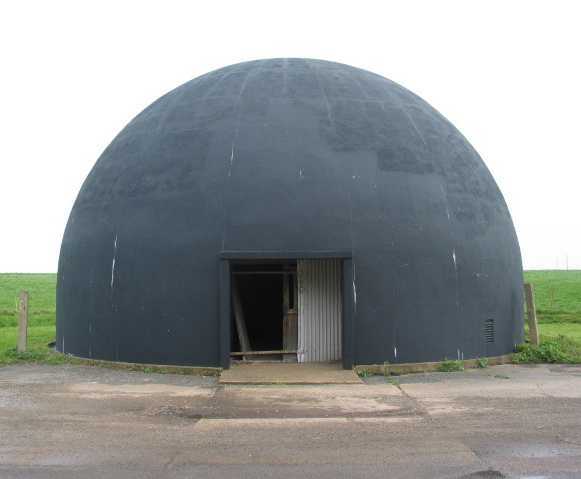 About forty concrete Dome teachers were built across the UK. Many have been demolished or simply fallen apart. Langham is a lucky survivor. Following its construction in 1942, Langham’s new state-of-the-art Dome Teacher was at the forefront of Britain’s anti-aircraft (AA) defence in World War 2 (WW2). 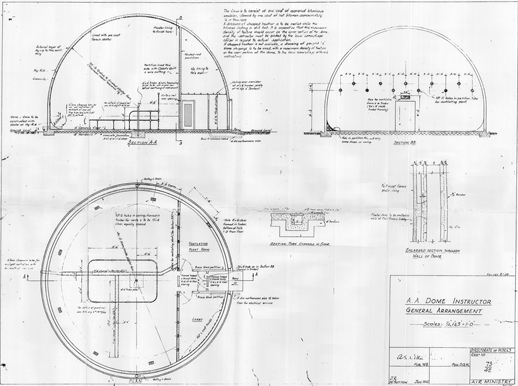 With its projection systems, ventilation machinery and dummy gun, the dome was on the very cutting-edge of technology and played a key role in helping to train those protecting the country from air attack. Lots of vehicles parked outside Langham Dome show that something was going on there at this time. 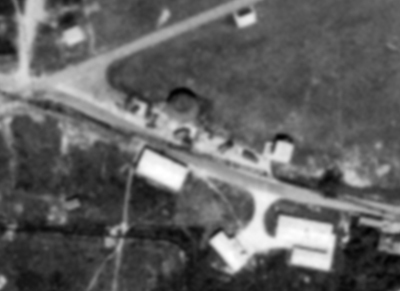 We haven’t found any close-up pictures of its early years. Might you have one? 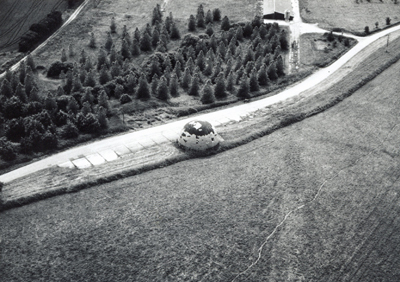 Langham Dome is last used for training gunners sometime between 1956 and 1958. The last trainees to use this building are from the Territorial Army. In 1961, the Langham site was purchased by Norfolk poultry producer, Bernard Matthews Limited. 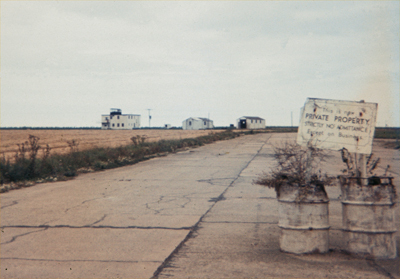 Like many other old wartime airfields across the county, the runways proved a perfect site for building turkey-rearing sheds. The Dome meanwhile, never built to be a permanent structure, began to decompose. Over time, the lattice of reinforcing steel ribs and steel mesh (known as ‘Hy-rib’) within its concrete shell started to rust and swell, cracking and pushing off the cement. It is entered onto the schedule of official Ancient Monuments, but many people have forgotten what it was used for. 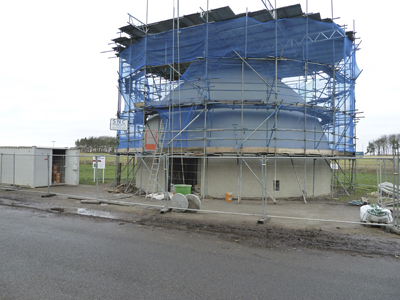 Langham Parish Council alerts North Norfolk Historic Buildings Trust to the Dome’s importance and its need for restoration. 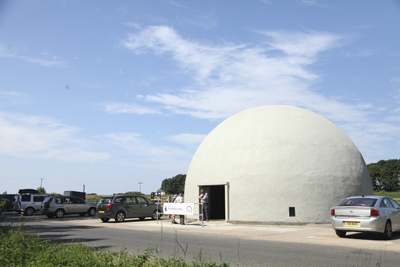 Ownership of Langham Dome is transferred from Bernard Mathews Ltd to North Norfolk Historic Buildings Trust, so as to protect its future. The ‘Friends of Langham Dome’ group is formed, enabling the local community and others to unite to help preserve the history of this now rare and important building. Energy, time and hard work by scores of supporters, brings in grant money to stabilise, restore and refurbish the building. This year sees Langham Dome reopen as a visitor centre. Its mission – to reveal the significance of the Dome and RAF Langham in the defence of Britain during and after World War 2 and remember the sacrifices made. Langham Dome in its newly restored condition. © FoLD. The original Air Ministry drawing for the Dome Teacher. © Trustees of the RAF Musuem. Can you shed any light on this period in the Dome's history? © Norfolk Record Office. 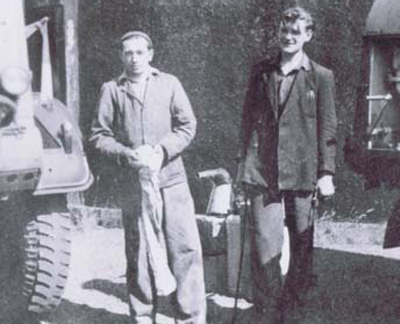 Peter Jackson (left) pictured outside Langham Dome around 1958. Peter was in charge of the vehicles used by No.2 CAACU. © Peter Jackson. The Dome in desperate need of repair. © The Morton Partnership. 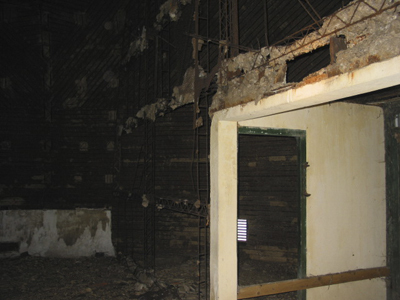 A photo of the Dome when surveyors undertook a report into its condition and need of repair. © The Morton Partnership. 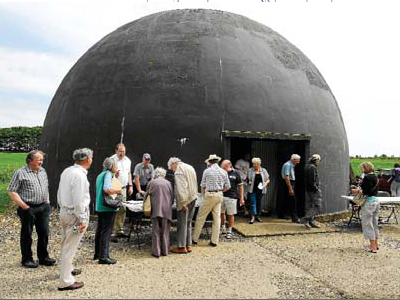 Open days showcased the potential of the Dome and sparked local interest. The Dome mid-restoration. © Ugly Studios. 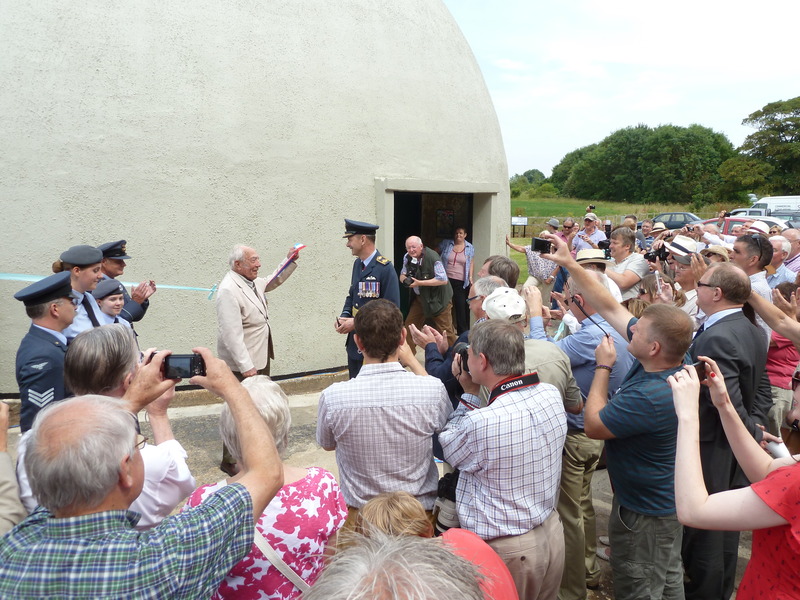 The official opening of Langham Dome in July 2014. © Ugly Studios.